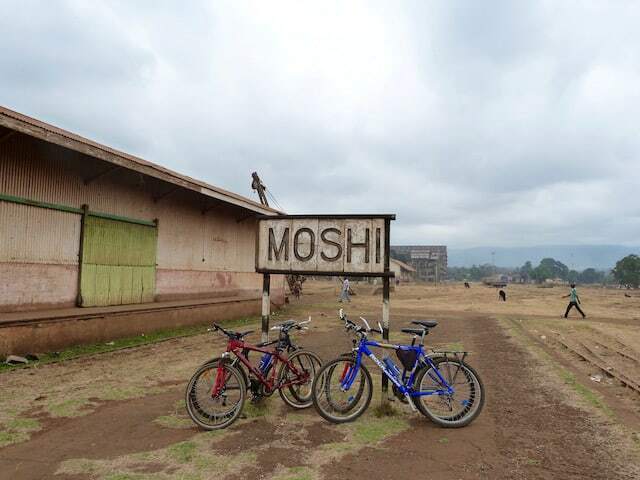 Our guided Moshi Bike Tour is popular for a reason. 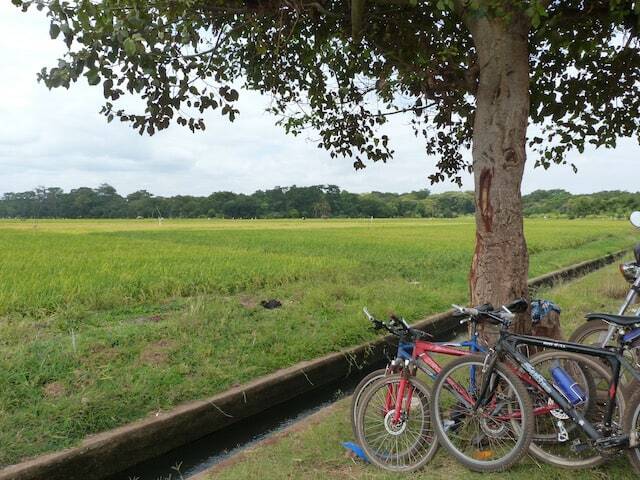 It’s 20km so it’s long enough to be an adventure but it’s not exactly the Tour de France. And it’s the best way to really see the true Moshi. 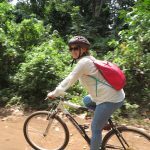 This fascinating tour takes you from the colorful, bustling Moshi town roads to nearby picturesque villages, through forest trails and along tiny farmland paths. 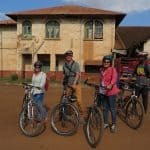 You’ll get an authentic flavour of this little typically-Tanzanian community nestling in the green and fertile foothills of Kilimanjaro, through first-hand experience of town and agricultural life and of its colonial history. And you’ll enjoy a cheeky beer, too! You’ll start the day making friends with your bike; getting it set up so it’s comfy and becoming familiar with the controls. Don’t worry, your friendly guide will help you do all this. 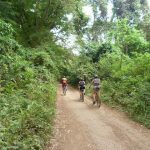 And, of course, you’ll get comprehensive advice and instruction on how to negotiate the Tanzanian roads, so that you’re confident and safe when out riding. 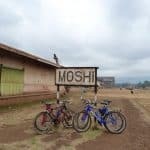 You’ll dive right into the bustling daily life of Moshi, cycling at a leisurely pace to the Majengo district of Moshi, which is the heartland of Moshi craft. Check out the dizzying array of local crafts and hand-made goods artily arranged at the roadside. 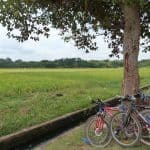 From here you’ll pass through the small farms and family houses of the Msaranga area, taking in the daily activities of schools, mosques and churches as you ride by. 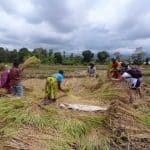 Your journey then takes you through fields of growing rice, one of Tanzania’s staple foods and you’ve an opportunity of helping out the local field workers. 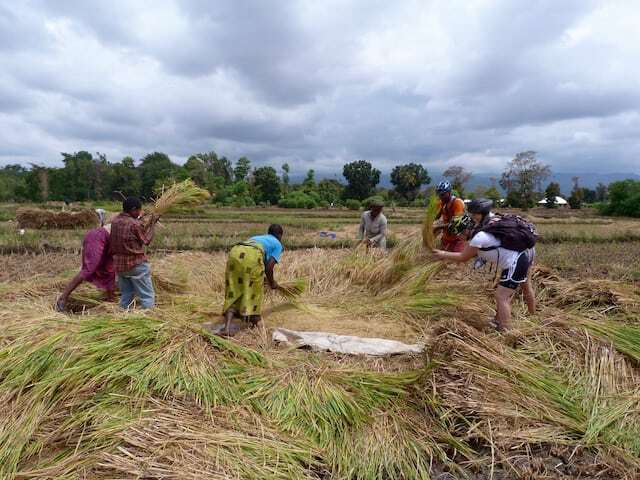 You’ll certainly gain an appreciation of how much hard work goes into a sack of rice! Enjoy the product of your (albeit short) labour with a tasty lunch, hosted by a friendly local family. You’ll enjoy pilau, a traditional rice-based Tanzanian meal, as you chill out with your host family on their shady verandah. 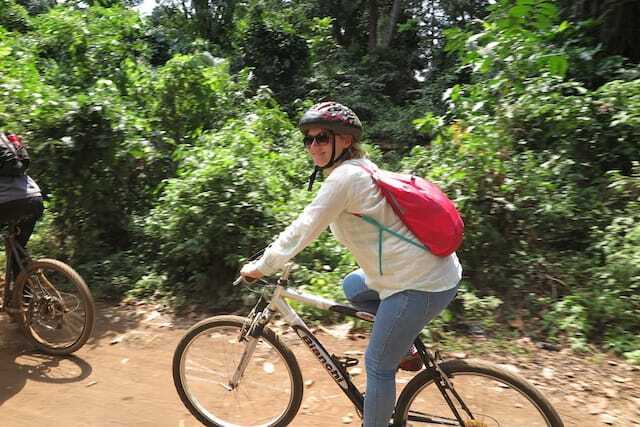 Once you’ve rested and fuelled-up, it’s time to continue your bike ride through the Rau Forest, a jewel of protected tropical woodland, alive with birdsong and the calls of animals. Keep an eye out for the black-and-white faces of colobus monkeys peering curiously at you as you go by. You won’t be the first to wonder just how fluffy a monkeytail can be. 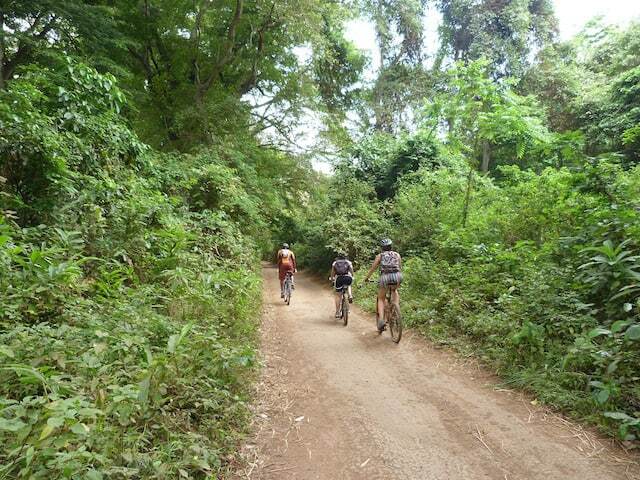 Once through the shady canopy of the Rau Forest, your last stop is the old railway station. You might feel you’ve stepped back one hundred years to German colonial times; close your eyes and you can still sense the energy and bustle echoing down the century. 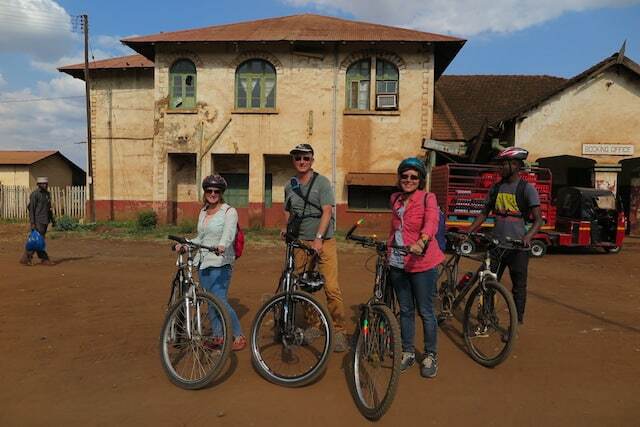 With a little bit of luck, you’ll have a great view of Kilimanjaro while sipping a cold beer from the railway station bar, a lovely final stop before your ride back into town where you can finally rest your weary but happy legs.